Money Box Car ZS sp./lacq. Money Box Tractor 14x8x9cm sp./lacq. Money Box Racing Car 15,4x7,2x4,8cm sp./lacq. Money Box Fire engine 7x15cm sp./lacq. Money box in the shape of a Tractor. The money box is silver-plated and lacquered, and therefore requires no polishing. The money box can be engraved, making it ideal as a personal (birth) gift. Money box in the shape of a racing car. 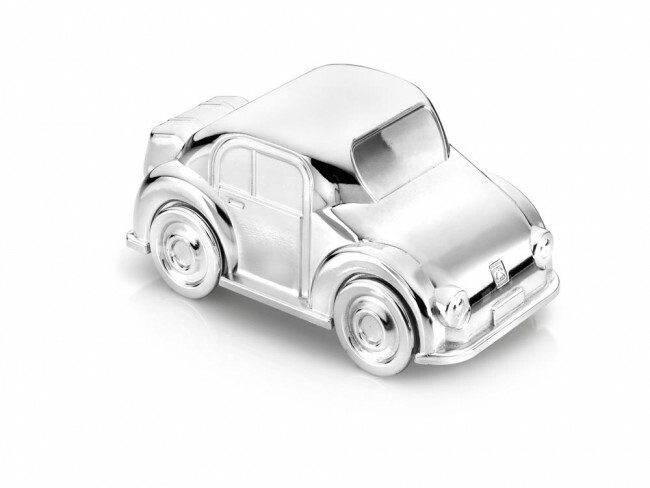 The money box mill is silver-plated and lacquered, and therefore requires no polishing. The money box can be engraved, making it ideal as a personal (birth) gift. Money box in the shape of a fire engine. The money box is silver-plated and lacquered, and therefore requires no polishing. The money box can be engraved, making it ideal as a personal (birth) gift. Money box in the shape of a car. 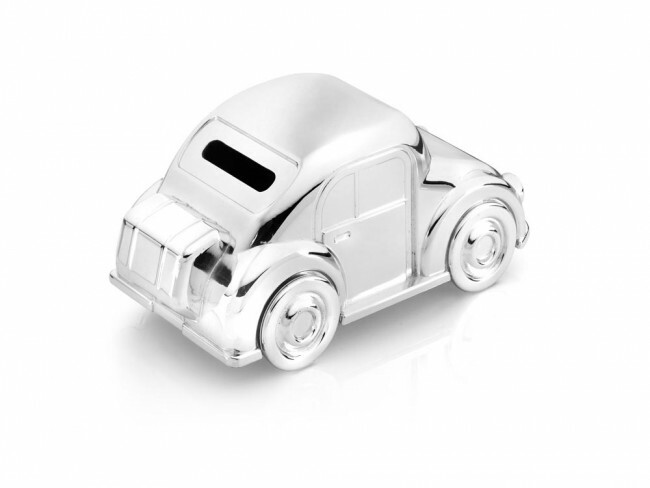 The money box mill is silver-plated and lacquered, and therefore requires no polishing. The money box can be engraved, making it ideal as a personal (birth) gift. You're reviewing: Money Box Car ZS sp./lacq.